Heartwood the Beach is a new mixed-use condominium development currently in pre-construction at 1884 Queen Street East in Toronto, Ontario by Fieldgate Homes. 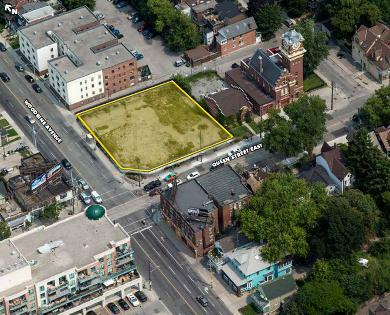 It is a proposed 6 storey building with retail use at grade level located at the northeast corner of Queen Street East and Woodbine Avenue in the Toronto Beach neighbourhood. Heartwood the Beach Condos is a proposed redevelopment of a vacant parcel of land that was a former service station (Shell gas station). 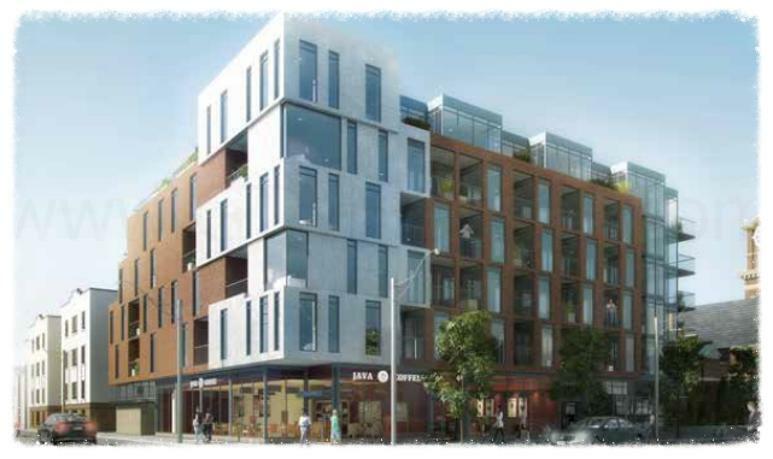 The proposed residential development will consist of a six-storey mixed use building with 70 dwelling units. Of the 70 residential units 43 will be one-bedroom units and 27 will be two-bedroom units. There will be two levels of underground parking proposed for 65 vehicle parking spaces. There are also 62 bicycle parking spaces proposed. Retail us will be situated at grade level and there might be commercial office use space proposed on the second floor. Total gross floor area is 6,391 square metres of which 626 square metres will be for retail use space. There is indoor amenity space proposed at grade level; however, there is no outdoor amenity space proposed. 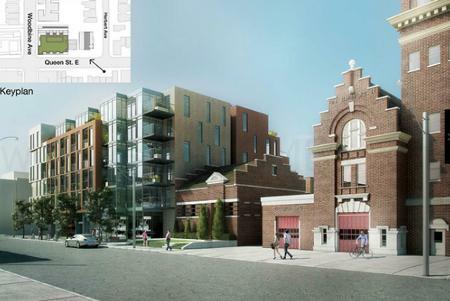 The residential entrance into the building will be proposed to be located on Woodbine Avenue with retail use space fronting Queen Street East. Leith Moore who is the senior vice-president of Fieldgate Urban with Fieldgate Homes reveals this new project - Heartwood the Beach Condos in a video below. He stated that Fieldgate purchased a zone site from a development group, Kilmer. They purchased this site so that they can bring it to the market quicker than usual. Heartwood the Beach is situated in a transit friendly community and is a mid-rise residential development located in one of the more desirable and vibrant neighbourhoods in downtown Toronto. Register with us today for more information on Heartwood the Beach Condos by Fieldgate! For more information, please register today for the Heartwood the Beach Condos Platinum Access Preview Event. Leith Moore, Senior Vice-President of Fieldgate Urban reveals new project.